Stand out in the crowd. $599. Extremely limited quantities (only 50 made). 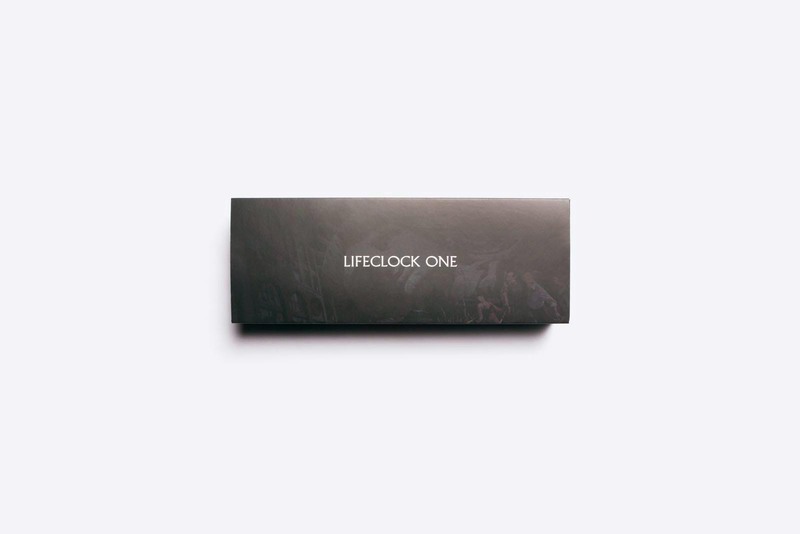 A truly unique wearable – the Chrome Edition of the Lifeclock One is a stunning timepiece that will make you stand out in the crowd. The Chrome Edition is machined from 316L stainless steel and then delicately electroplated with a thin layer of chromium. It has the same functionality and comfort as the Snake and Gulfire Edition, but with a decidedly more unique and stylish presentation and finish. WANT TO LOOK MORE LIKE SNAKE? Your Chrome Edition comes with five Velcro straps in two colors: Grey (M, L) and Black (S, M, L) for a total for five straps – to fit most wrist sizes – all straps are made from the highest quality leather. 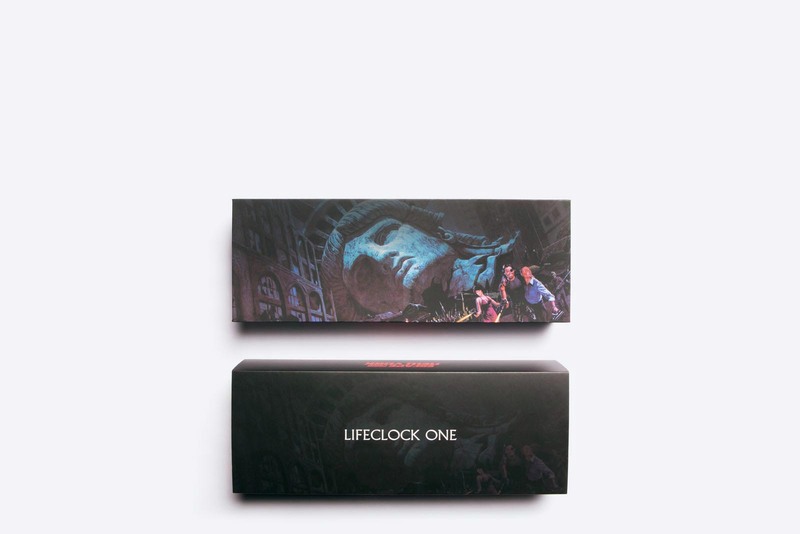 They are custom made to fit the Lifeclock One, and come fastened to the main enclosure with custom Chicago screws to match the aesthetic of the case. Note that there is no buckle option for the Chrome Edition. If you do want a buckle strap, you will need to purchase a black buckle strap separately. The back of the Lifeclock One Chrome Edition is available in either machined 316L stainless steel or, for those that have a nickel allergy, anodized aluminum. It comes decorated with a variety of designs, produced with an impact engraver, ensuring a clear and durable finish. The default option features a unique case back design, but you can also select any of the other engravings below. We also offer the option to add a custom engraved, personalized message (50 characters maximum) on certain designs at no charge. Your back selection and message can be specified at the time of purchase. 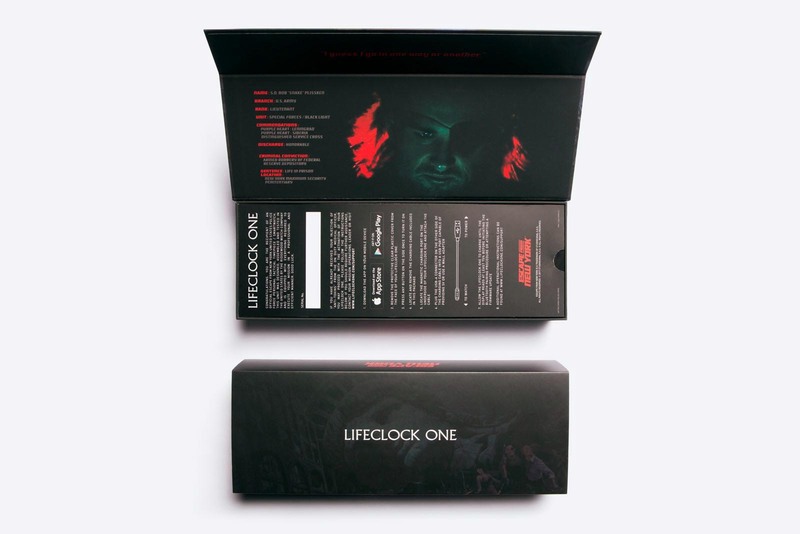 Want to fully customize the back plate of your Lifeclock One? While the serial number, copyright info, and FCC data must appear, we can accommodate images, text, and specialized layouts that meet your specific needsCustom engraving requests may take days extra on top of the normal ordering time. Please contact us directly for artwork submission specifications and assistance with this service. Chrome plated 316L stainless steel enclosure, 316L stainless steel back and five Velcro® straps – black (M, L) and grey (S, M, L) with silver Chicago screw accents. Please note there is no buckle option strap for the Chrome Edition. NOTE: WE ARE ONLY MAKING 50 UNITS WITH THE CHROME ENCLOSURE.